Dental implants are now seen as the treatment of choice for those disadvantaged by missing teeth. Dental implants look and function like natural teeth and offer the advantages over traditional dentures. 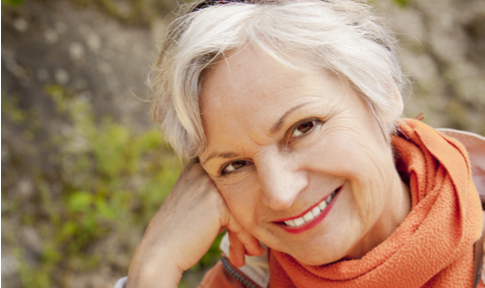 What advantages do dental implants offer over traditional dentures? 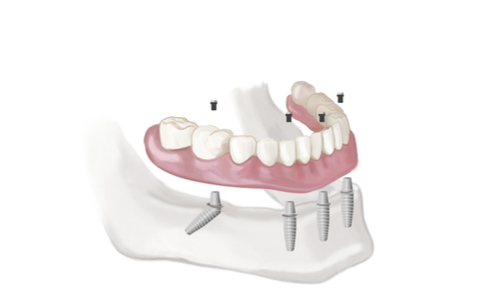 Will I need to have a dental implant for each tooth that is missing? 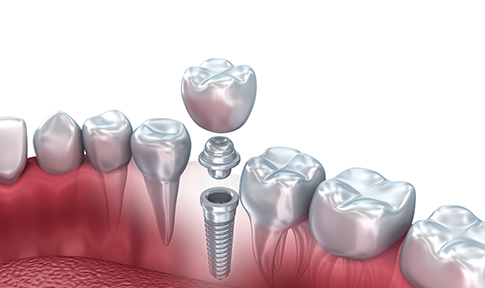 Dental Implants can replace a single tooth or a number of individual teeth. If there are consecutive teeth missing, a dental bridge held secure by dental implants is another option and your dentist will discuss this with you if appropriate to your case. Can I have fixed teeth in a DAY? We are one of the very few practices in UK offering the full mouth Same-Day fixed teeth treatment. The purpose of a consultation is to establish that you are a suitable candidate to receive a dental implant. 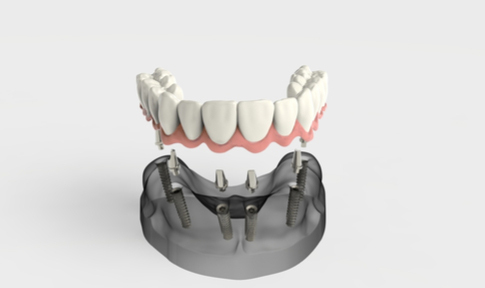 Whilst most people are, there may be issues like insufficient bone availability to place the implant into and this will require further treatment prior to the implant. At this time we will also discuss your treatment options and detail the costs involved. What If I decide not to go ahead with the treatment after the consultation? We pride ourselves on giving full and detailed information about the treatments that you may choose to receive. You will be given a written treatment plan outlining your treatment options and all the costs involved. It is your right after this to decide whether to proceed with the treatment or not. 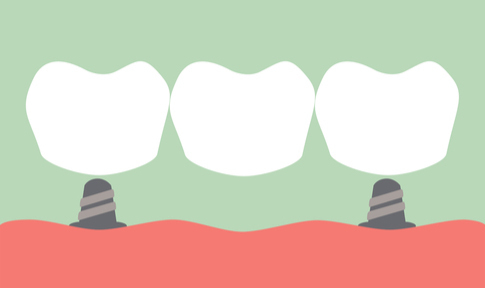 Can a dental implant be placed at the same time as an extraction? Provided that there is sufficient bone structure into which to place the implant, there is no real reason why this can not happen. However, as the area will be somewhat tender and not fully healed from the extraction, it is important that it is not used as a normal tooth until such a period has passed when the implant has bonded (osseointegrated) with the bone itself. There may however be occasions where the dentist may advise that these two procedures are performed separately to ensure the best result for the dental implant. Usually, a CAT scan will be taken to determine this prior to the procedure and if necessary, a denture can be modified or a prosthesis made as a temporary solution. Can I take out a tooth that has been attached to an implant? These can only be removed by a qualified dentist and there should be no real reason for doing this unless there are problems with the implant itself. Unlike dentures, replacement teeth fixed onto a dental implant can be cleaned in the regular manner i.e. with brushing and flossing and there is no need to remove them for cleaning purposes. Dentures that are fixed by implants however, may be removed by the patient for cleaning purposes. Are Dental Implants Abroad Really Cheaper? Patients who have had dental implants placed abroad are amazed to discover the value for money services that we are now able to offer in UK. Quite simply, dental implants abroad are no longer the more affordable option.